Mary tells a story of the making of a movie, in which the director, casts himself as Jesus Christ. The actress Marie Palesi (Juliette Binoche) plays Mary Magdelene, who whilst searching for the essence of her character, finds herself completely consumed by it and embarks upon a spiritual quest to Jerusalem following filming. Later, Ted, a New York City news reporter initiates his own personal crisis provoked by hosting a television documentary about the life of Christ...Mary, looks set to create a storm as it questions who Mary Magdelene really was, why she has been portrayed as a prostitute as opposed to apostle, and the relationship between the mass media and organised religion. I've not read or seen The Da Vinci Code yet, but that last paragraph makes me wonder if they might make n interesting double bill. which sounds very like bits of the trailers' text, and the kind of things that were being said about Gibson whilst simultaneously subverting that a playing Ferrara as the true messianic artist. Perhaps I'm reading too much in, but it seems to me a cleverly composed opening. The rest of the trailer seems to focus on the trouble they had funding the film. Whilst this is interesting in the context of the financial phenomenon that was The Passion, I hope the final cut of the documentary includes a bit more than this. 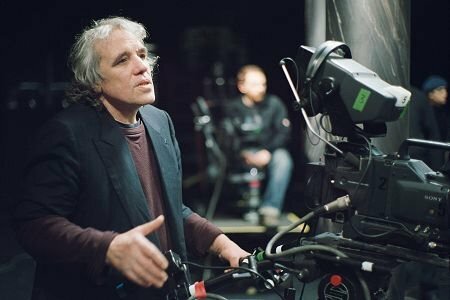 Ferrara is a very interesting director, and he has some great actors working with him as well. Hopefully we'll get to hear plenty from them. I also have no idea what the release plans are for this documentary. Even despite Mary's Grand Jury prize at Venice, the movie has struggled to find a distributor. I would assume then that Odyssey in Rome won't be released independently, but will be an extra on the Mary DVD. That said, according to IMDB, it will be playing at this year's Venice festival. After yesterday's discussion on The Last Temptation of Christ I thought I would supplement it with a more formalised scene layout. As usual scripture quotations will be in line with my citation policy. Firstly, the film probably bears the most similarity to the gospel of Mark. Whilst the way I cite scripture makes the above evidence look more compelling than it is, there is certainly plenty to suggest that comparison. Firstly, like this film, Mark's gospel does not include Jesus's birth and childhood, or his early adulthood for that matter. It is also the most vague regarding the resurrection. Whilst there's some debate about what the ending of the original text was, in it's canonical form we are left with an open ending from which the reader/viewer draws their own conclusion. Furthermore, Mark's gospel has Jesus very much a man of action, moving around at a pace. Whilst parts of the film are very slow, this is mainly Jesus' personal reflections (the internal stuff). The sequences showing his active ministry move at a pace. 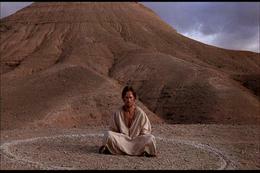 The gospel is also the briefest, and severall segments of the film are stripped right down to the bare essentials (e.g. the trial scene). I think this is the only Jesus film I can think of where he clears the temple before his triumphal entry. The latter scene is shot a bit unusually, but I like the way Scorsese uses the two scenes here. In a strange way, reversing the two actions reflects a lot more of Jesus's intent to today's audiences than maintaining the scriptural order. Finally, the timings of the two major fictional sequences are guesses. I've been meaning to read Nikos Kazantzakis' "Last Temptation" for a long time now. I found Martin Scorsese's film adaptation very challenging and somewhat pivotal in my understanding of film and faith, and so reading the source work has always been something I wanted to do. The release of Scandalizing Jesus? 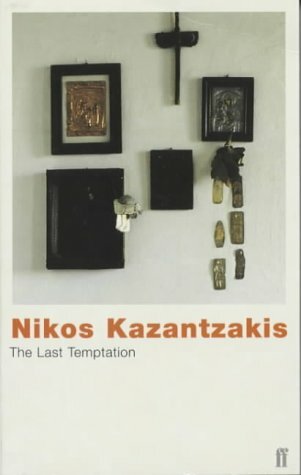 : Kazantzakis's The Last Temptation of Christ Fifty Years on prompted me to up my efforts and someone bought me it for Christmas, and I finally found time to start it the other day. This book is not a biography, it is the confession of every man who struggles...I am certain that every free man who reads this book so filled as it is with love, will more than ever before, better than ever before, love Christ.
. That quote reminded me of a quote from "Scorsese on Scorsese" where he explains that the reason he made the film was "to get to know Jesus better". So much of the controversy around the book and the film seems to be people claiming that the works are trying to desecrate Christianity or some similar charge. The above quotes should surely lay such charges to waste. These works are not exploiting Jesus for laughs (as in say South Park - although there are arguments for the redemptive value even of that), or trying to discredit him (like The Da Vinci Code). They may not share my conclusion about Jesus, and may, for many, have strayed to far from orthodox Christianity, but at the same time they have a certain validity because they are part of their creators' journeys of faith. I've said before that Christians often think they are the only ones who are interested in Jesus. This is simply not the case - we don't have a monopoly on taking Jesus seriously. And sometimes the insights that others bring can shed light in new areas that those of us in the church can fail to notice. That doesn't mean swallowing the faults in the works as well as the good, but simply that such pieces give us the opportunity to learn something. As for the orthodoxy of the works, thus far I can only speak of the film. However, it strikes me that the films are far more orthodox theologically than many seminaries. Yes, Jesus is considered sinful before his ministry (a view held by many for what it's worth), but he is also unquestionably the Son of God. The temptation he faces is not so much to engage in an illicit affair, but to settle for a normal life with a wife and children. It affirms that Jesus died for humanity's sins, and implies that he was resurrected. So the theology of this film is far less scandalous than some other Jesus films, such as Jesus of Montreal. Part of the reason I've posted these comments here is because I want to discuss the film at sometime in the near future and I don't want to get bogged down in the controversy. In the meantime I look forward to comparing the book to the film, and loving Christ "more than ever before". 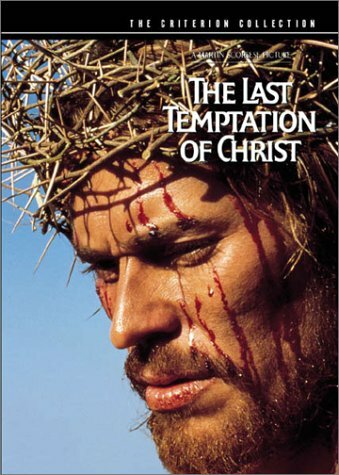 Prior to Dornford-May's film, the one most people have talked about when they talk about Son of Man was a 1969 filmed play by Dennis Potter, starring Colin Blakely as Jesus, Brian Blessed (Peter), Robert Hardy (Pilate), Bernard Hepton (Caiaphas), and Edward Hardwicke (Judas). It was directed by Gareth Davies. I first became aware of this film after reading Philip Yancey's book The Jesus I Never Knew - a book that is in many ways responsible for me ending up running this site. Until recently it had only been shown on TV 3 times - the last time being in 1987 after Blakely's death from Leukemia. Clips were available on video if you bought the course based on Yancey's book. However, I've just found out that it was recently shown on BBC4 four weeks ago. Needless to say I'm very disappointed to have missed it. Whilst I have seen it (thanks to a rare showing at the Broadway Cinema in Nottingham), it's a shame to have missed the chance to get a copy on DVD. On the plus side, it does mean two things. Firstly, that it may have generated sufficient interest to lead to an eventual DVD release, or at least a repeat viewing. Secondly, it has generated a bit more information on the web and a few more stills from the play. The film was shown as part of BBC4's Potter Season, so there's some information there and some useful looking links. As for the stills - a number of these have been coloured. The play was originally shot in black and white, and the fact that a few of the stills remain in black and white implies that the version shown was still black and white, it is just a few of the stills that have been coloured. There are a few interesting comments about the screening here. It's from the Guardian - the British newspaper I most closely identify with. I do disagree with plenty of the commentary there, but then that's part of the paper's appeal, but I digress. I'm not sure how long it's been posted for. I have to hang my head in shame though and admit that I only got 9 out of 10 - I got the Simpsons question at the end wrong. Anyone keen on this kind of thing migth also appreciate the biblical studies version of Holywood squares, featuring 9 film Jesus' in the panel. Not being familiar with celebrity/Holywood [sic.] squares it took me while to work out how to play. But good fun, and possibly a useful teaching tool for some? 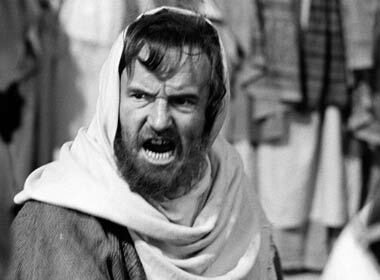 Reading about a couple of the forthcoming bible films has confirmed what I expected after the box office success of The Passion of the Christ - a lot of people are now making films about Jesus. Jesus Christ is a central and pivotal figure in western history, and so the fact that some of these films have been made is nothing to do with Gibson's film. 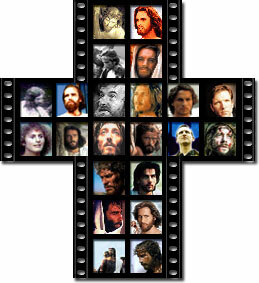 However, I imagine that most films about the life of Christ that in production, or have recently been released are either because artists interested in the subject matter have suddenly found people prepared to finance their films, or worse because they want to cash in on the newly discovered market, or alternatively because the film-makers want to correct some of the problems they see with Gibson's movie. (FWIW, many NT scholars have proposed that this is what the author of John is doing with his gospel). That said the 90s was also a pretty busy time for bible films being made, particularly as the millennium drew closer. 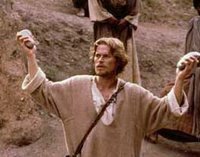 In terms of feature length "films about Jesus" (a slippery term) from the 90s, I can think of 7 (Jesus, Miracle Maker, Book of Life, Mary the Mother of Jesus, Jesus Christ Superstar (Stage version), Visual Bible: Matthew, The Revolutionary) - the majority being released in 1999. So far in the 00s (noughties? ), we have already had 7 (Inquisition, Second Coming, The Cross, Man Dancin', Gospel of John, Judas and The Passion of the Christ) with another few on release at the moment (Son of Man, Mary), and two more in production (The Nativity and Colour of the Cross). Even assuming that the two Jesus film projects that have gone very quiet (Gospel of Mark, and The Lamb) don't make it that's still 11 films and it's only 2006! (And I have probably missed one or two). 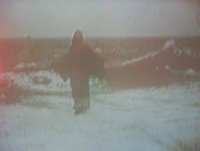 That said, in terms of bible films in general, the 90s produced far more films, largely due to the Bible Collection who produced 13 films about the bible, 10 of which were Old Testament stories made in the 90s (Genesis: Creation and Flood, Abraham, Jacob, Joseph, Moses, Samson, David, Solomon, Esther, Jeremiah), with Jesus also being a 90s release, and only two New Testament films being made by them in 2000/02 (Paul, and The Apocalypse - I am ignoring the other four"Close to Jesus" films the Bible Collection churned out). 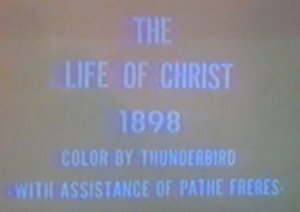 Aside from the Bible Collection, there were 6 other films made in the 90s (The Prince of Egypt, La Genese, Noah's Ark, Joseph and the Technicolour Dreamcoat, Visual Bible: Acts and The Emigrant, but only 3 so far in the 00s (Joseph - King of Dreams, In the Beginning, and One Night with the King and only Rabbi Paul that I'm aware of in the works (again there are a couple of Moses films that have gone very quiet). Meaning 90s:00s sums up as OT films 15:3, Jesus films 7:11, Other NT films 1:3. In other words a total of 23:17 with a third of the decade still remaining, but Jesus films have already outstripped the numbers made in the 90s even with the millennium. Given only 5 of these were released before 2004, I think The Passion has had a significant impact in this respect. You can see the other nominees, read about the voting procedure from the official page. Personally I'm a bit disappointed. I wasn't impressed by Millions, which won 8 awards. I just don't see what the other critics see in it. The only thing I can think is that it's just one of those films which works better on the other side of the Atlantic (which is strange as it's a British made film). The other major disappointments for me were that Sin City (my review) didn't win best cinematography (or even come close), and that Dear Wendy (my review) lost out to Munich for best score. But you have to take the rough with the smooth with all these things. Last year I was really pleased that Dogville (my review) won the "most spiritual" award ahead of The Passion of the Christ (even though for most years I would have been please for The Passion to win). What's more, it's a tremendous privilege working with these guys. The final list also leaves me kicking myself that I didn't see A History of Violence, and that I never got the chance to see Born into Brothels, and hotly anticipating Capote. I've always appreciated Philip Seymour Hoffman's work, and I really hope he finally gets the Oscar he deserves next month. It's funny how you don't get any black Jesus films for years and then three come along all at once. I've posted quite a few times on the South African Jesus film which was recently playing at Sundance, and I suppose that you could count the filmed version of the recent rock opera Hero!, which was released on DVD a year or two back. Now Variety are reporting on another film featuring a black man playing Jesus - Color of the Cross. It's written and directed by Jean-Claude La Marre who also stars as Jesus (going a step further than Mel Gibson), and it seems to be fairly political. One of the producers is Rev. Cecil "Chip" Murray who talks "about the negative imaging of black America". The report also notes that "In addition to Jesus, black actors will also portray Mary..., Joseph and Judas, while the rest of the cast will be white or Middle Eastern. Thanks to Peter T Chattaway for pointing this story out to me. He notes that it's unclear from the article "whether this film will be set in the past or present". He concludes that it will be set in the past, whereas I'm not so sure. I hope he's right as both Hero! 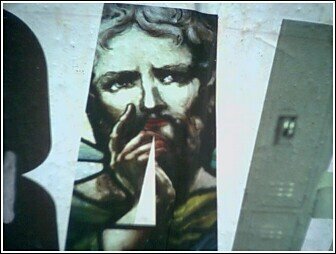 and Son of Man are set in contemporary times, although Hero! loses any prophetic / insightful edge, by setting the story in a fictional police-state America. It would be nice to see a black Jesus film that put the story in it's original era. I think it could bring a lot of fresh insights. There's also brief articles at UPI and Empire, with some discussion of the film at the latter. It's a little embarrassing that Jeffrey Overstreet always beats me to the good stories, but there you go. Two weeks ago he discovered a script called The Nativity had been sold, now he's got a name for the director. 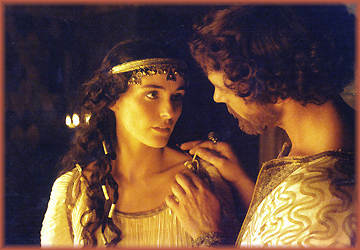 the screenplay follows Mary and Joseph's life...as their love, faith and beliefs are tested." 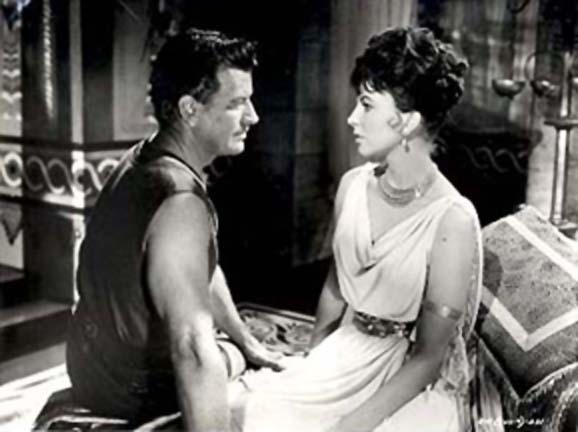 Over the course of their travels form Nazareth to Bethlehem, the couple interact with a slew of biblical figures, including John the Baptist and King Herod. Personally I've not heard of Hardwicke, who directed the controversial Thirteen and Lords of Dogtown, Quoting Hollywood Reporter, Cinematical states that New Line want Hardwicke because she'll will bring a "strong female perspective". Overstreet buzzes "I'm trembling. This is incredible. When I posted the news about the script sale a few days back, I wondered who would direct it, and I never guessed it would be someone with such a knack for hard-hitting realism". I'm pleased that Overstreet and Cinematical are so pleased about Hardwicke being wooed to direct. In my original blog on the script I noted that I didn't feel that excited about another traditional take on the nativity, but the excitement about Hardwicke gives me hope that we might get something more substantial. 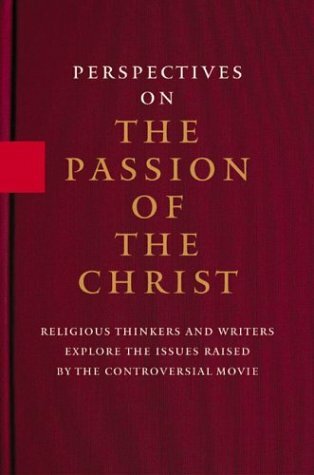 I mentioned a few weeks back that this book has been re-issued, under the slightly shorter title “On the Passion of the Christ”. I had never got around to reading the original. And as that’s now available for significantly less than the re-issue, and largely the same essays’ save a new intro by Paula Fredriksen I thought I’d go for the cheaper option. It is interesting that they have dropped the word “Perspectives” from the new book’s title. Certainly my main criticism of this book is that nearly all of the essayists, except perhaps Amy Jill Levine, strongly criticise the film, and the reasons for doing so are generally fairly similar. It’s not even like Levine offers unqualified praise for the movie – her essay is actually a fairly balanced discussion of the different viewpoints and why they are held. But she, at least, manages to understand why this film became so important for evangelicals. It’s difficult to see who is to blame for this lack of balance. The individual authors had their briefs, and could only really offer their own insights. On the other hand the editors will point out that they invited a broad spectrum of Christians to write, including two evangelicals, Ben Witherington III, and Jim Wallis. Unfortunately, neither of them actually like the movie either – whilst they are entitled to their views (and I agree with a lot of what they are saying), unfortunately they are hardly representative of their constituents, and it leaves the book as a whole looking painfully one sided. One of the other interesting chapters in this book was Deborah Caldwell’s “Selling Passion”. She provides an account of the run up to the film which is refreshingly different from not only all the other chapters in this book, but also those in other similar books. 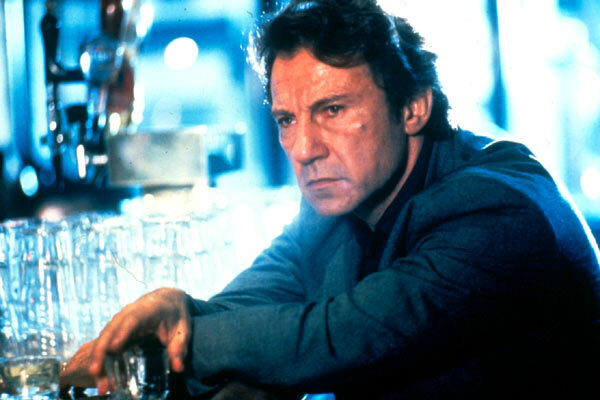 Whilst the two other collections of scholars’ essays on the film that I have read, are also generally negative about the film, both manage to gain a greater degree of balance. “Re-viewing the Passion” includes essays from those more versed in film to appreciate Gibson’s visual work and present the film in the context of “visual theology”. 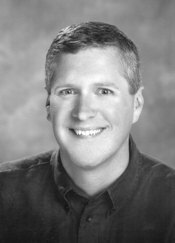 Robert K. Johnston, Darren J.N. Middleton, Gaye W. Ortiz and Peter T. Chattaway all have good credentials as writers on film, and it shows. For me this is the strongest element of the film and as a result this book is probably the most positive of the three whilst still highlighting the movie’s weak points. 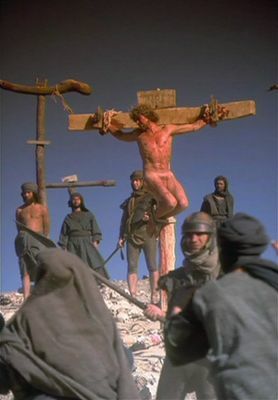 “Jesus and Mel Gibson’s The Passion of the Christ” is on the whole more critical, but makes two very smart moves. 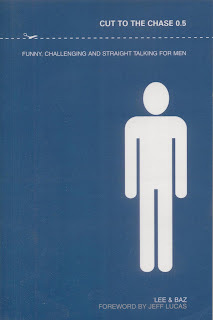 Firstly, the opening section of the book finds John Dominic Crossan and Mark Goodacre gives responses to the film as a whole. Crossan slates it, Goodacre is far more positive, albeit with a few reservations. The effect of this is that the following chapters are read through the filters of what Crossan and Goodacre say. The later chapter then is particularly significant as the remaining chapters generally offer criticism of the film – many of which have, thus, already been countered to some extent. The other strength of the book is that the middle section broadens the debate by focussing on different individuals, or episodes individuals within the story, so there are chapters on Mary, the Jewish leaders and the trials of Jesus. 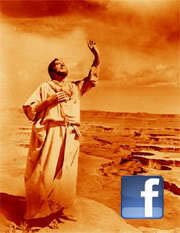 The effect of this is that the book has a far wider reach than “Perspectives on The Passion of the Christ”. In fact, this is the other major problem with this book. It is incredibly repetitive. By the time you have read all 18 chapters you have learnt by rote that history testifies that Pilate was brutish unlike the Passion, that the gospels were theologised history rather than eye-witness accounts, and that they would have spoken in Greek and not Latin. The effect is (somewhat ironically) that you too have been battered into submission. There are other minor praises and quibbles. It is interesting hearing Witherington and Wallis speak out against the majority in their communities. Adele Reinhartz’s expertise on Jesus films always brings an interesting perspective, and Stephen Prothero sets the film in the context of the varying cultural portraits of the American Jesus. Conversely, Steve Martin’s “”Script Notes”” are both out of place in a book such as this, and more reprehensibly, not really that funny. For a book that criticises Gibson’s star power in places this seems like a particularly strange move. The other area that could have better is the ordering of the book. For a work that is significantly linked to the Ad Hoc Scholars report – it would have made sense to place that book nearer the beginning. 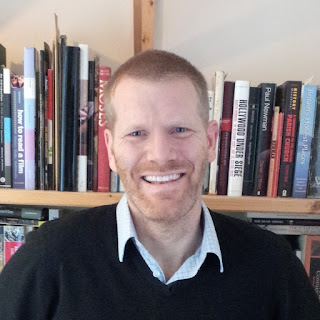 Similarly some of the other chapters that look at the context surrounding the film, such as Prothero’s, might have been best placed towards the start of the work. Overall, there are a few really good insights in the book, and the more popular criticisms are argued persuasively, but the book is marred by, at times, tedious repetition and a general lack of balance that make it less interesting than similar in-depth explorations of The Passion of the Christ. Log line: The life story of Saul of Tarsus who, due to divine intervention, turns his life around and becomes the founder of Christianity and the Apostle Paul. More: Biography. Alan Riche, Peter Riche, Mandalay Integrated Media Entertainment's Christian Tureaud, and Prelude's Mark Koch, Daniel de Liege & David Salzberg will produce. There's more on Chilton's biography, including reviews etc. at Amazon.com which also has the useful 'look inside' option. There are also a couple of write-ups at the Review of Biblical Literature website. I've not read the book, but I note a few things from the reviews. Firstly, the book apparently prioritises Acts over the epistles, which is an unusual move in this day and age. Simpler and more familiar for the faithful perhaps (arguably making it a good choice for a movie script perhaps). Secondly, if I have read the review correctly. Chilton's pre-conversion Saul struggles with guilt. If the film adopts this then it will find itself in opposition to EP Sanders and those scholars from the 'new perspective' on Paul. On the positive side both reviewers praise his writing style, and that, at least, means that the movie may be similarly well written. I certainly hope so. There's so little intersection between bible films and scholarship that when one comes along it's a source of real hope. Certainly we could do with more films that stress the Jewishness of Paul, Jesus and the early church. 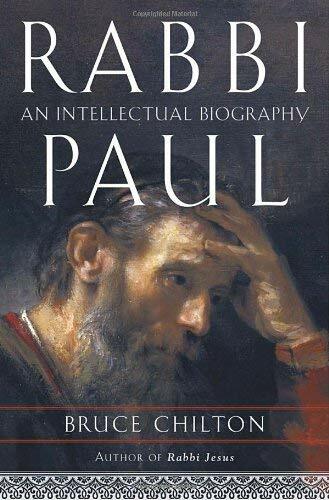 (Again one wonders if part of the motivation for the producers to buy this, rather than any other of the available scripts on Paul, was linked to the various debates about The Passion of the Christ). For what it's worth, I posted some brief comments on other film portrayals of Paul only last month. Thanks to Jeffrey Overstreet for the tip off. The South African film renaissance continues with one of the most extraordinary and powerful films at Sundance, Son of Man. This is the story of Jesus, told in episodes from the New Testament, but set in present-day Africa. This is a Jesus (Andile Kosi) who says the same sorts of things he says in the Bible, is not 'updated' except in some of his terms of reference, and yet sends an unmistakable message: If Jesus were alive today, he would be singled out as a dangerous political leader, just as he was the first time around. The movie has relatively little spoken dialogue, but a great deal of music, that joyous full-throated South African music that combines great technical skill with great heart. Some of the best moments belong to a chorus, singing the praises of the lord. Others belong to an actress named Pauline Malefane, who plays Mary, and sings in celebration after being told she will be the mother of Jesus. She's told by an angel; the angels in the movie are small African boys with a few feathers attached here and there, looking on with concern. Jesus's disciplines include a few women along with the men this time, and they follow him through the townships of Cape Town as he preaches non-violence. Television news tells of occupying forces and uprisings, the modern version of the Roman concern with the Jews. Judas spies on Jesus with a video camera. The secret of the movie is that it doesn't strain to draw parallels with current world events because it doesn't have to. The movie was directed by Mark Dornford-May, but it is an improvisational collaboration of the Dimpho Di Kopane Theater company, which also created Dornford-May's great U-Carmen (2005), a version of Bizet's opera sung entirely in Khosa. 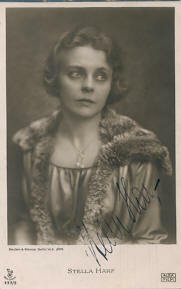 That, too, starred Pauline Malefane, a trained opera singer. I find it very interesting that the film plays strongly on the political angle of Jesus. Scholars are increasingly emphasizing that the charge nailed to Jesus' cross was a political one, not a religious one (King of the Jews). 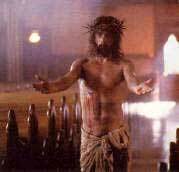 Obviously pretty much every Jesus film for the next few years will be reacting in some way to The Passion of the Christ. That film removed any political aspect from Jesus's death altogether so it's nice to see the balance being restored. I caught about 20 minutes of this programme on channel 5 last night about Ramsees II which touched briefly on the story of Moses and the Israelite Exodus. I was actually watching it the house of a member of my church cell group, and as we were actually meant to be meeting there it got cut short after a while. Anyway, I did a bit of researching this morning. According to Kevin who works for Channel 5 it was a documentary that they "re-versioned" based on a documentary on the Discovery Channel, called "Ramsees:Wrath of God or Man?". There is a trailer for it here. There's also a number of interesting featurettes, which shed quite a bit of light on the film. 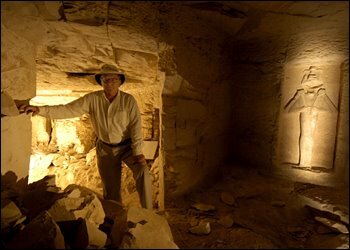 In the brief segment I saw they touched on the existence of the Apiru and related them to the Hebrews (with perhaps a little too much conclusiveness for such a vague mention)and swiftly moved onto the heart of the show - the alleged discovery of the tomb of Ramsees. Two things stood out in particular. 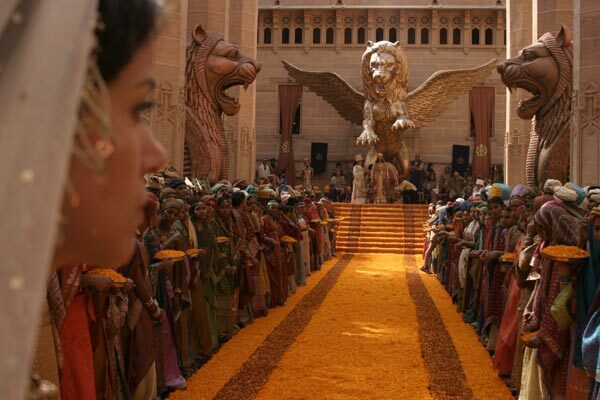 Firstly, there were a number of dramatised segments from the bible. 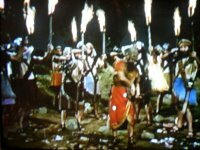 Mostly rather standard - Ramsees and his dead son, the angel of the Lord creeping round Egypt Ã la The Ten Commandments (1956), but one was a "god shot" looking down on the Israelites as they passed through the walls of the Red Sea which was quite interesting. From the previews it appears that this is was quite a major feature of the film. Secondly, the documentary was pointing out how the Ramsees son is never given an age in Exodus - in fact he could have been an adult when he was killed. I must admit that is one thing I had never considered. I'm fairly confident that all the Moses films show him as a boy, and I know of no other dramatisation that deviate from this norm. Elsewhere I have argued that The Ten Commandments (1956) is now thelense through which the story of Moses is viewed, and I suspect that before that it was DeMille's earlier, if truncated, version of events, The Ten Commandments (1923) that held sway. This certainly seems to be the case here. It is hard to imagine an adult son of Ramsees. Furthermore the scenes noted above all seem to be strongly influenced by The Ten Commandments. The boy being laid down looks very similar to a scene from the film, I've already noted how the Angel of the Lord scene apes its predecessor, and even the impressive overhead shot, relies far more on DeMille's Red Sea as opposed to scripture's shallow sounding "reed sea". As for the documentary itself, it's point, going by the aforementioned trailer, seems to be that Ramsees's son had grown up to be an adult, and had been killed by human, rather than divine, means. I have heard some people speculate that the first born of Israel were killed in a sacrificial attempt to gain the favour of their gods (and I can only guess that this is where Egyptologist Kent Weeks' theory was headed), and it does have some plausibility. However, an awful lot rests on the pharaoh in question being Ramsees. This it appears is far from certain. The background info on Ramsees (200 wives, 150 children) was certainly interesting though. 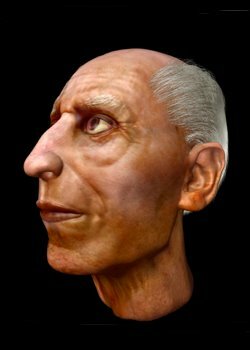 The film goes on to reconstruct both the faces of Ramsees and of the skull they think might be his first born child. There's perhaps some similarity, but there also appears to be some similarity to the face of Jesus re-constructed by the Son of God documentary a few years ago.